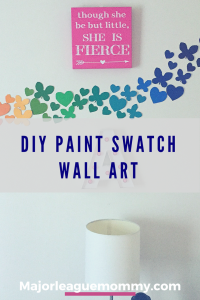 We wanted to add a little extra color to the girls’ room, so I came up with this quick and nifty idea using some paint swatches we grabbed from WalMart. Check out our DIY Paint Swatch Wall Art below. 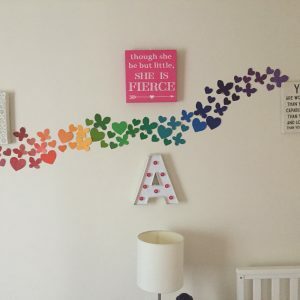 Select a few stencils for the shapes you would like to cut out, and trace them onto each paint swatch. We chose to go with hearts and butterflies. 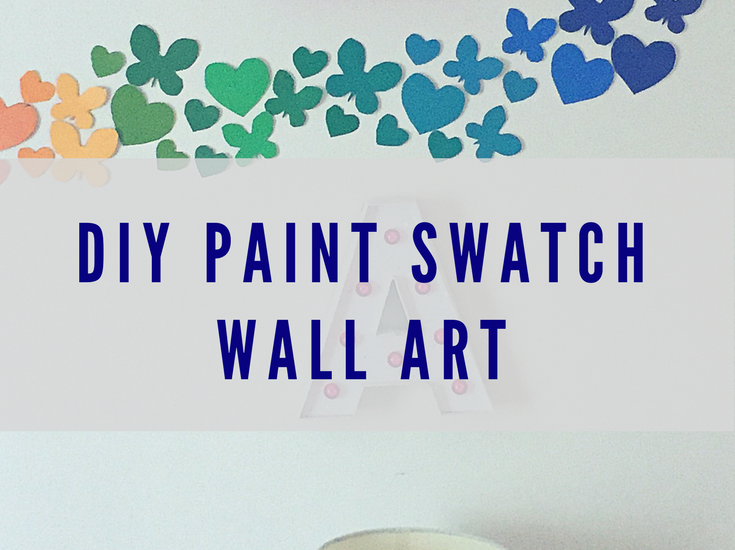 Cut out the shapes in each swatch. 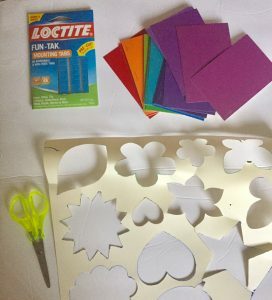 Place a putty tab on the back of each cutout and arrange as you please on the wall. We decided to go with a rainbow effect for the placement of our cutouts.